After a successful career in investigative journalism, author Frances Vieta penned “Love in the Land of Barefoot Soldiers”, a novel set during Mussolini’s invasion of Ethiopia. Frances explains how covering civil strife in Mozambique set her career along a different path. Join host and working mother of two, Bettina Bush each week as she brings the pages of Working Mother Magazine to life in the studio and on the road. 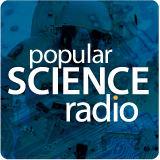 Get great advice from leading experts on your child’s health issues, eating healthy and staying fit, managing stress, career strategies, books, new gadgets and more. Get an inside look at National Trade Shows – learn how to look for the best safety features in a new car, how to take great family photos, and what to look for in a pediatrician. 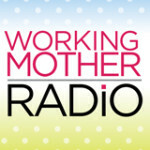 WORKING MOTHER RADIO provides educated and affluent listeners with the community, solutions and strategies you need to thrive while you balance work, family and life.